How did we let this happen. While the Final Rule is not yet available to review (the website link provided by the agency doesn’t have the Final Rule), it appears from NMFS’ release that it has adopted the course laid out in its Proposed Rule. 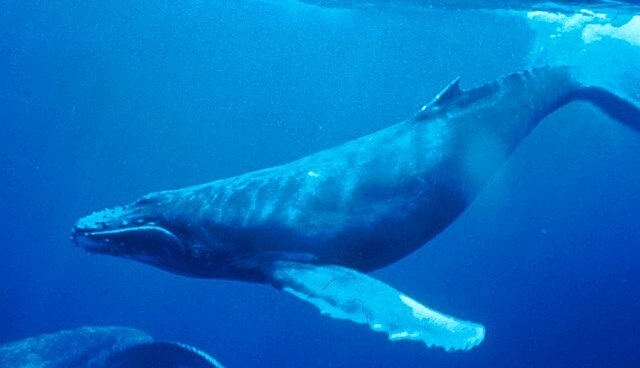 There, it found that millions of instances of harm to the area’s whales and dolphins (including habitat abandonment, temporary hearing loss, and in some instances permanent hearing loss, injury to internal organs, and death) constitutes a “negligible impact” to the species harmed. And once again, NMFS is finding that that the most severe impacts (temporary and permanent hearing loss and death) can be “minimized” by a Navy lookout regime that is wholly inadequate and ineffectual. This entry was posted in Cetaceans by Kirsten Massebeau. Bookmark the permalink.